Reverend F.M. Gilmore, Professor W.E. 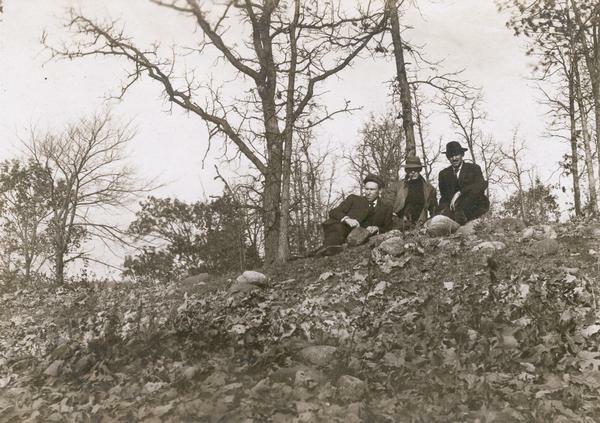 Leonard, and Charles Brown relax on a burial mound on Fox Bluff near Lake Mendota.